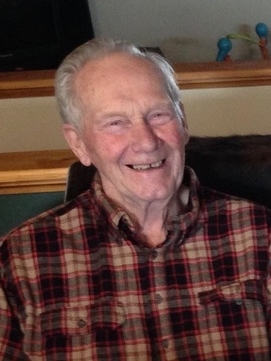 Gordon Verges, age 79, of Spring Valley, Wisconsin died Tuesday, March 26, 2019 at Western Wisconsin Health in Baldwin. Visitation is Friday, Mar 29 from 5-8 p.m. at Gilman Lutheran Church, Spring Valley, WI. Memorial Service is Saturday, Mar 30 at 4 p.m. at Gilman Lutheran with visitation one hour prior to the service. He was born Jan 3, 1940 in St Paul, MN to Fred and Mildred (Heinrich) Verges. Graduated Harding High School in 1958. He married Lois Schuldt in 1960 and they were together until the day he died. They were blessed with 5 children. He was a truck mechanic for St Paul Terminal Trucking Company. He moved his family to Spring Valley in 1971 to pursue his dream of being a farmer which he did until retirement. He was also known for his mechanical abilities and fixed many neighborhood tractors. In retirement, he and Lois pursued another dream and bought a lake place near Gordon, WI. There he enjoyed the tranquility and the fishing, especially when the grandkids visited. He also had a lifelong love of deer hunting that he passed on to the rest of his family. He and Lois also loved an occasional visit to one of the nearby casinos. In recent years they moved back to Spring Valley to be closer to family and friends. Preceded in death by parents Fred and Mildred, sister Shirley Gale, brother-in-law Robert Gale. Survived by wife of 58 years Lois (Schuldt) Verges, children Phillip (Judy); Sharon; Randall (Donna); Linnea (Troy) Miller; and Brad (Ali); 12 grand children and 5 great grandchildren; sister Dianne (Larry) Cherry, many other relatives and friends.